Discussion in 'Concepts and Ideations' started by GuilleAcoustic, Aug 12, 2016. This is a project I've had in mind for years, but the lack of affordable hardware put it on hold. 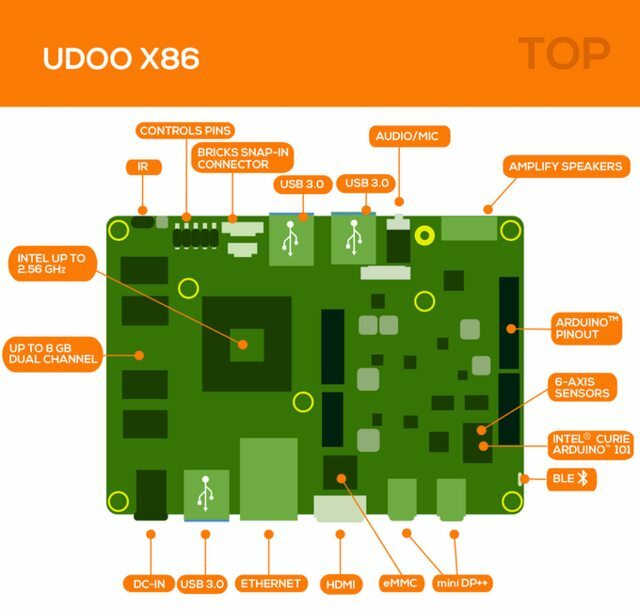 With the announcement of the Udoo x86, a 120x80mm x86 quad cores, the project is back on rails. 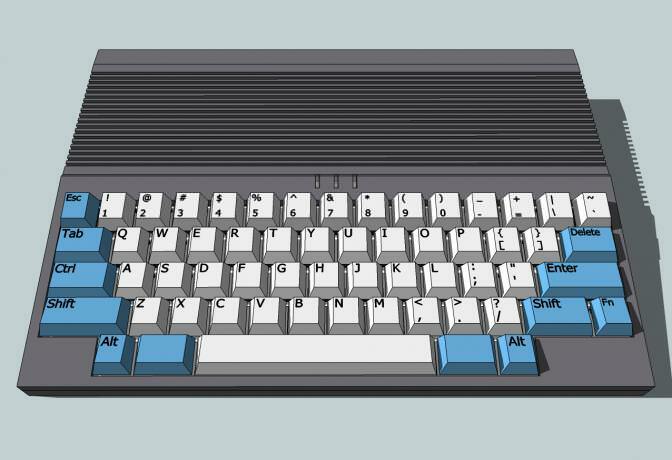 I'm a big fan of keyputers, started computing on a MO5, then moved to Atari and Amiga. The idea is to bring this form factor back in my house, as a portable Linux laboratory computer. Here is my original work from a few years ago. At this stage, I wanted to use System On Modules (SOM), coupling and ARM SOM with an FPGA one for specific on demand computation. Chassis was a simple 3 folds sheet metal. owliwar, ColorZepppelin, lhl and 4 others like this. Oh I like ! Mechanical switches and x86 with expansion sounds really amazing ! The Udoo offers an M.2 M key, an M.2 B key and a Sata. Found some e key to m-PCIe. It also has an Intel Curie microcontroler, many possibilities . Hmm that's impressive ! Might be an excellent LAN party machine ! 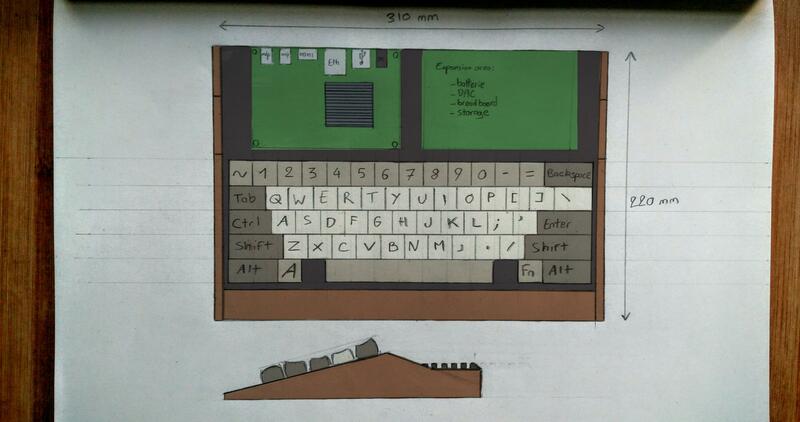 Quick mockup in perspective, sorry for ths simplicity but I didn't fancy drawing the keycaps in perspective. 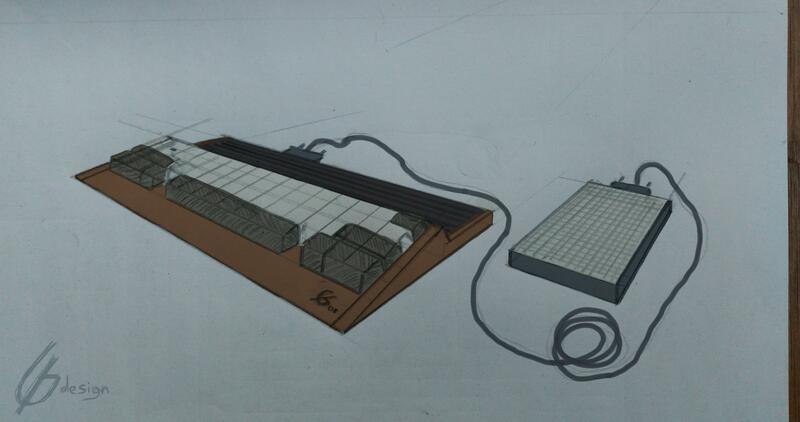 The breadboard / breakout expansion is to illustrate one of the possibilities. The top plate acts as an heatspreader ans is made of aluminum. 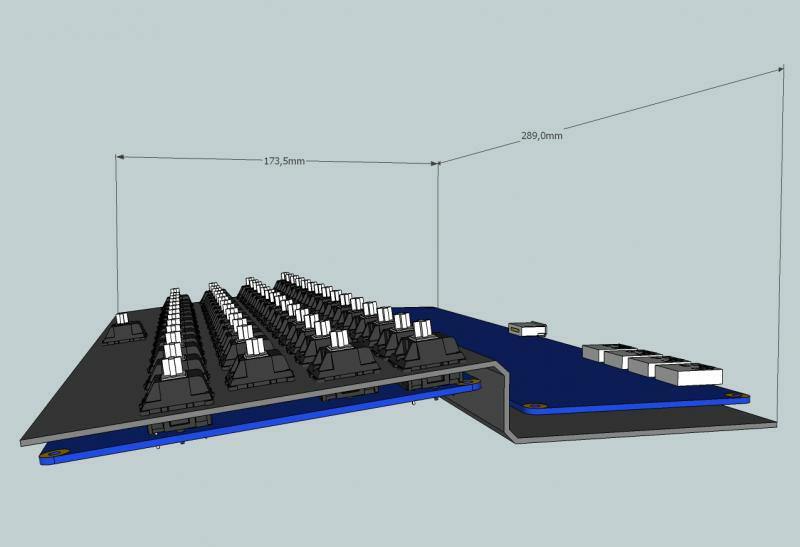 Been looking at the LattePanda as an alternative board. This board sports an Atom X5 quad core, 2 or 4GB DDR3L and 32/64GB eMMC. It also has an Atmega32U4 onboard. lhl, Phuncz and Soul_Est like this. Now what you really gotta do is get some chicklet keys and paint a rainbow stripe on there. 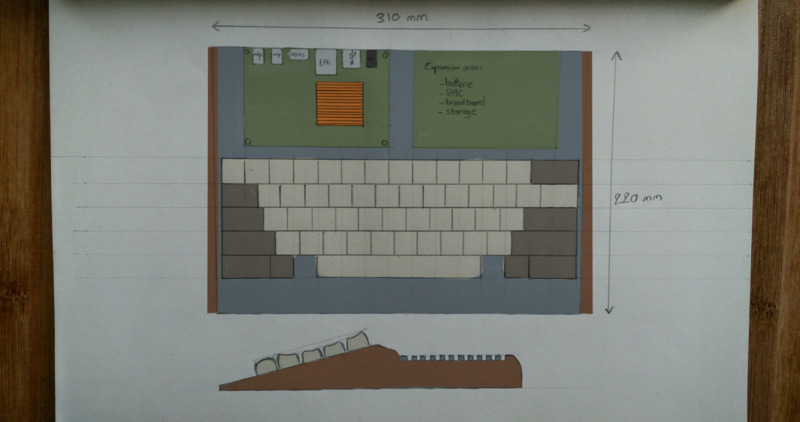 I'm thinking about Mathias switches + blank keycaps set. ... and paint a rainbow stripe on there. owliwar, Phuncz and BirdofPrey like this. Good choice, but I was alluding to the ZX Spectrum. In other news do you plan on utilizing the arduino ports for expansion, and are you going to tinker with using any of the sensors? ZX spectrum ... Forgot about this rainbow. Planned on using Arduino GPIO, CPU GPIO and sensors pinouts to create a bus. could this be revisited with those asrock 5x5 boards with embedded ryzen cpus? this is SUPER cool!